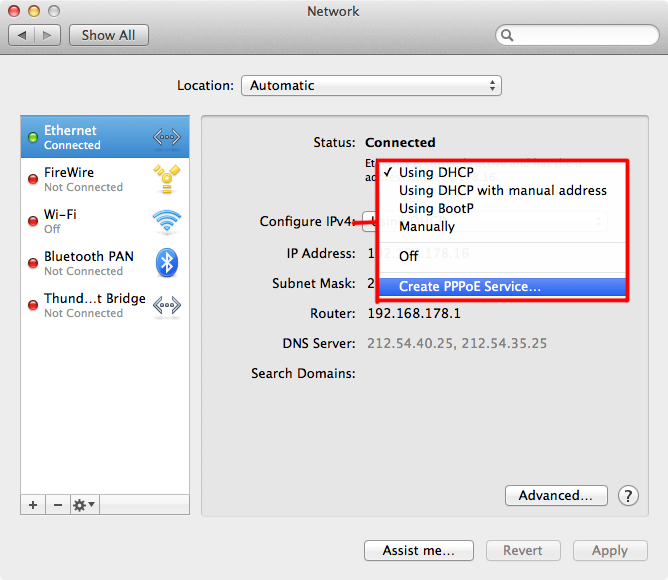 As soon as you use a UTP ethernet cable to connect your Mac to an ethernet modem, you are online, at least in most cases. 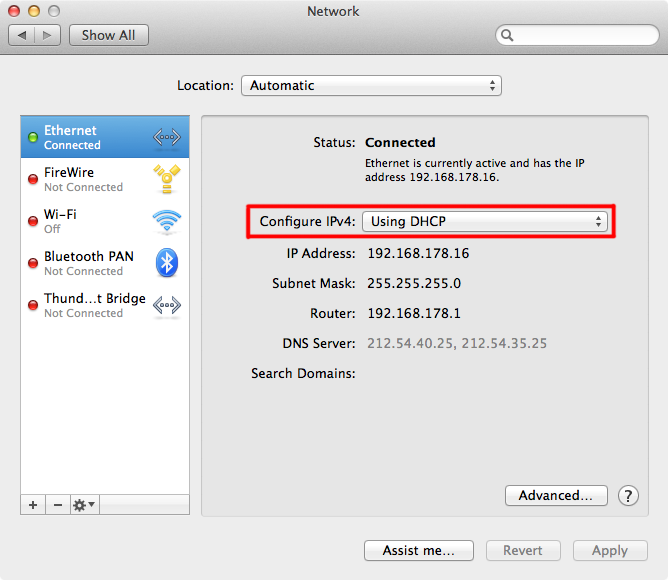 Most modems give out so-called 'dynamic IP-addresses' and your Mac's default setting is exactly this. 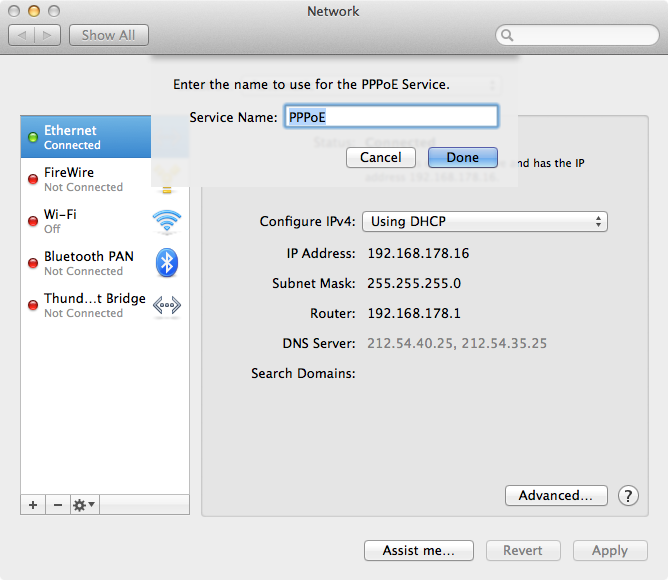 First give the PPPoE Service a name. This name can be given to you by your provider. 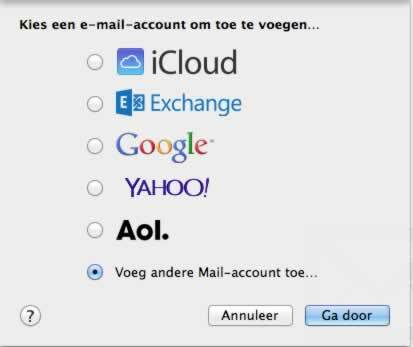 Then fill in your Account Name and Password, also given to you by your internet provider. NOTE: Please mind that passwords and account names are capital letter sensitive. - the password for the network (WPA- or WEP key). 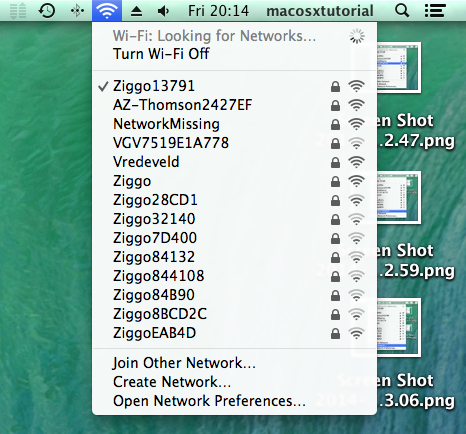 Go to System Preferences => Network and select Wi-Fi. 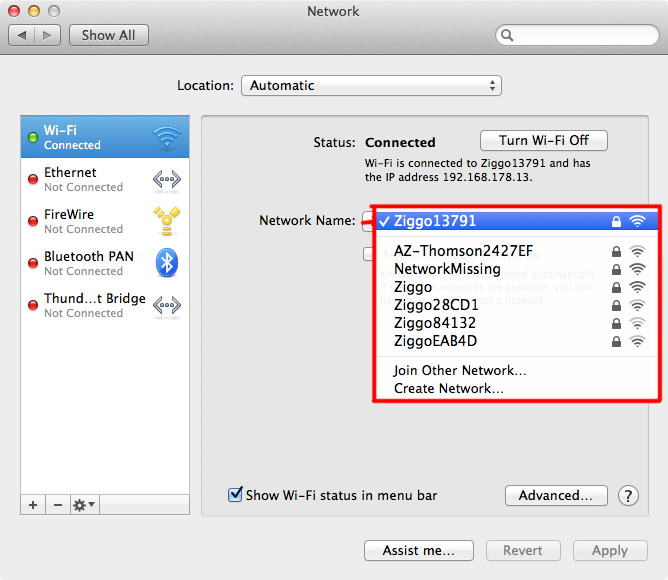 Choose at Network Name the name of the wireless network. Enter the password (if needed). Can't find your network? Then choose Join Other Network. NOTE: Most wirelesss networks are secured with WPA2 keys. 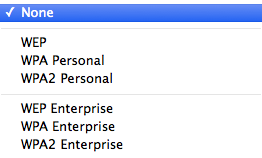 Apple calls‘WPA2 personal’. It might be so that your own network uses a different key. A question of trial and error will help you find the right one. 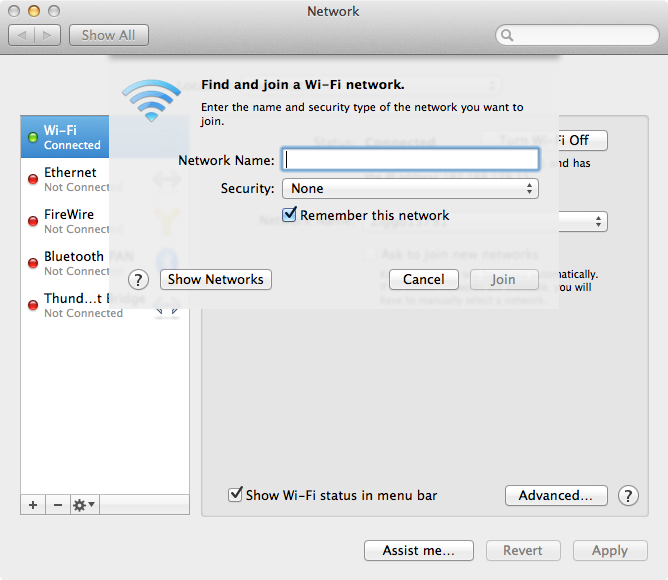 Create a new Wi-Fi network. In case you own an Apple Wi-Fi base station called Airport or Airport express, you can create a new network at 'Create Network'. NOTE: Other non-Apple manufactured base stations can be configured at their internal web page. See the user manual of the apparatus for how to do this. You use a web browser to surf the Internet. It comes with Mac OS X and it's name is Safari. You are not obliged to use Safari. Firefox or Google Chrome are some excellent alternatives. 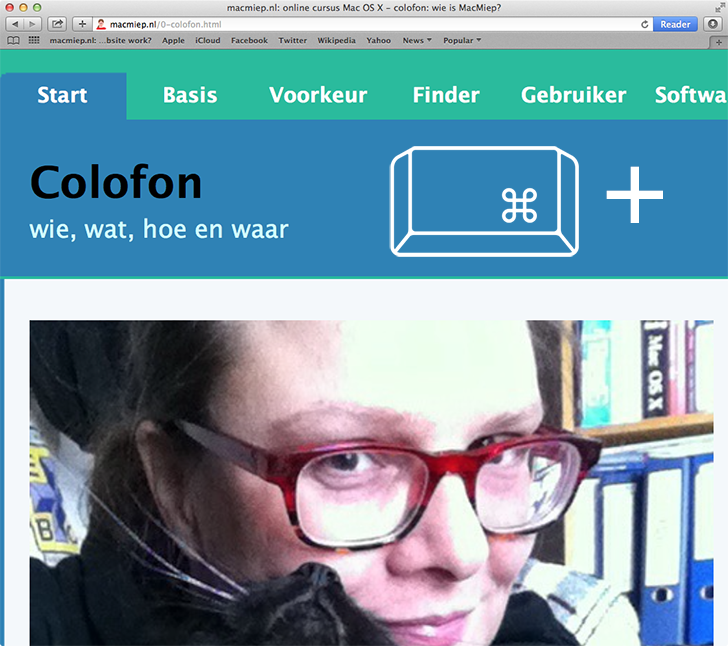 - field for the internet address (URL) , with on the upper right the rounded reload-page arrow. 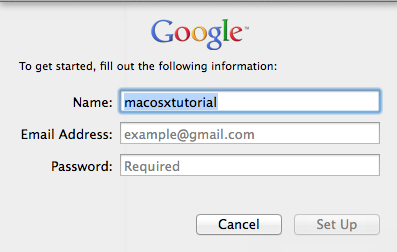 This field is also the Google search engine field. No separate space for this! Drag and drop your upper favorite sites in here. Then give it a (short) name. 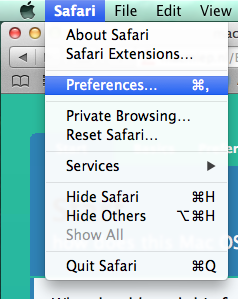 Use the little arrows icon to enlarge the Safari window to the whole screen. Move your mouse towards the upper right of the screen. 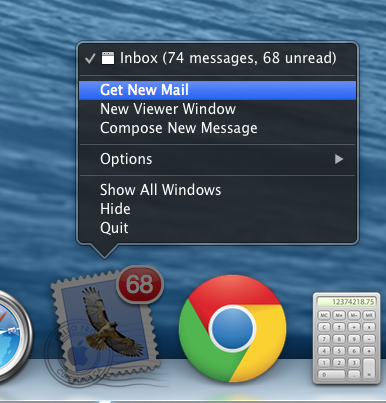 The menu bar will appear with a blue icon and arrows. Click it to go back to window view. 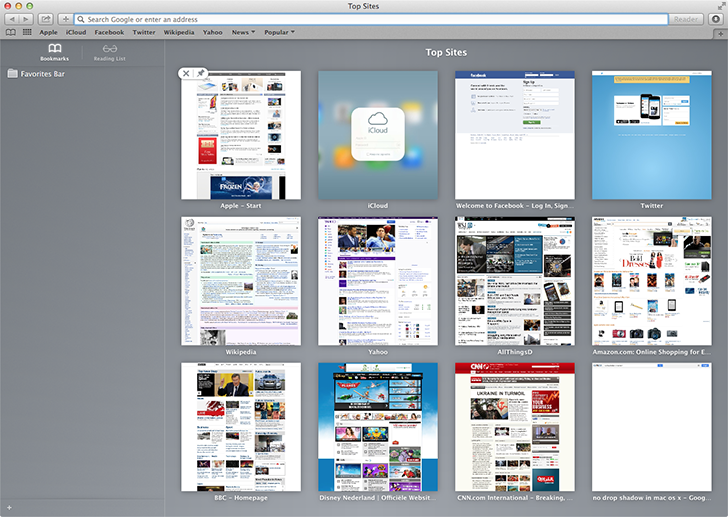 At default, Safari goes to the Apple website at start up. Don't lik this? Choose your favorite opening page at 'Homepage'. Or leave it blank for a blank page at start up. Just use 'drag and drop': click the picture and drag it to the Desktop. You can also use a right click to open a menu. 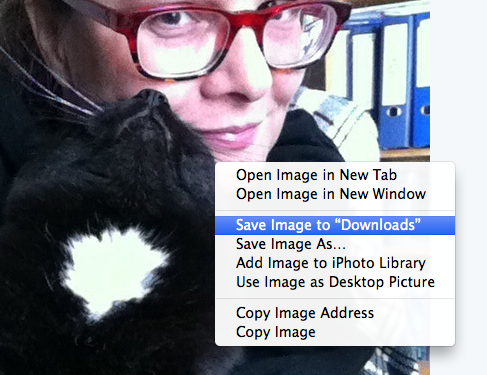 Now you can choose to save your image to the 'Downloads' folder, add it to your iPhoto Library or use it as a Desktop picture. NOTE: occassionally, pictures won't download because web masters don't allow it. Use Command + to make it all bigger (and Command – to make it smaller). 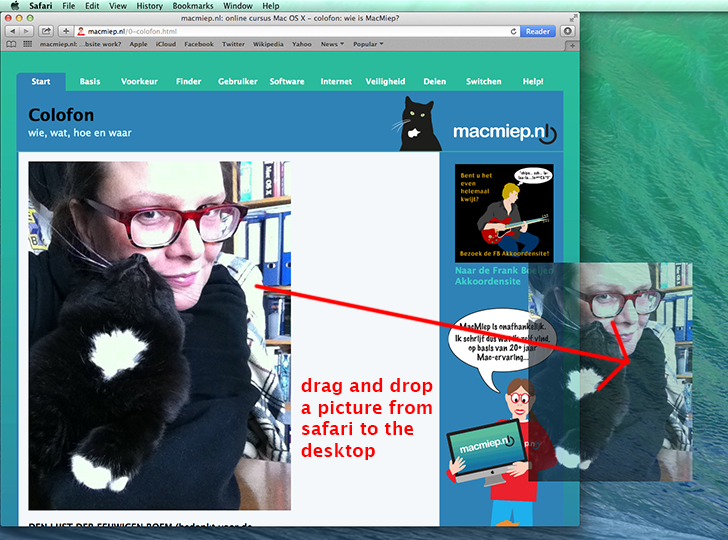 Very convenient for MacMiep, with her cat at her lap and leaning back in her desk chair she can still surf the internet! 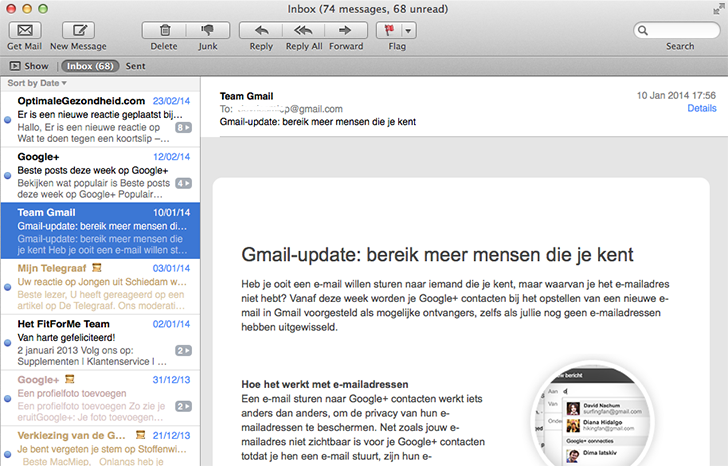 Email a complete internet page? 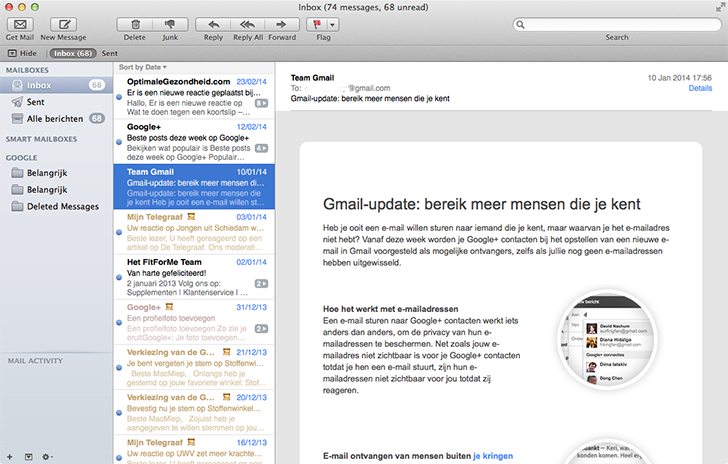 Choose Command-i in Safari and Mail wil make a new email with the complete and formatted content of the webpage. 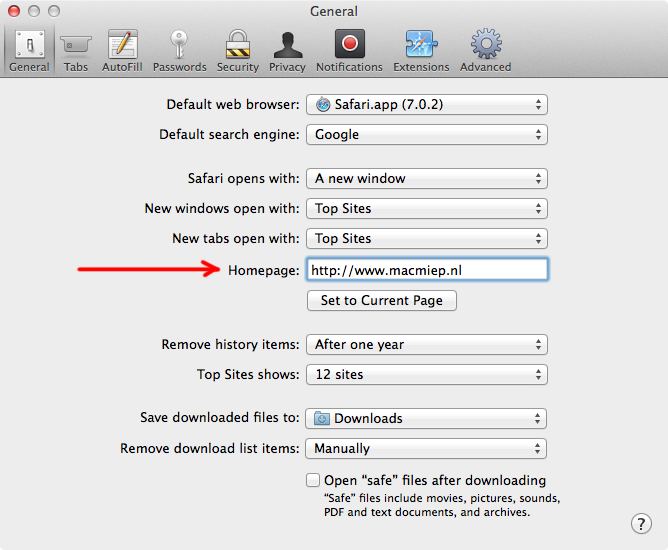 Ad default, Safari is the browser to open all web pages. Don't like this? 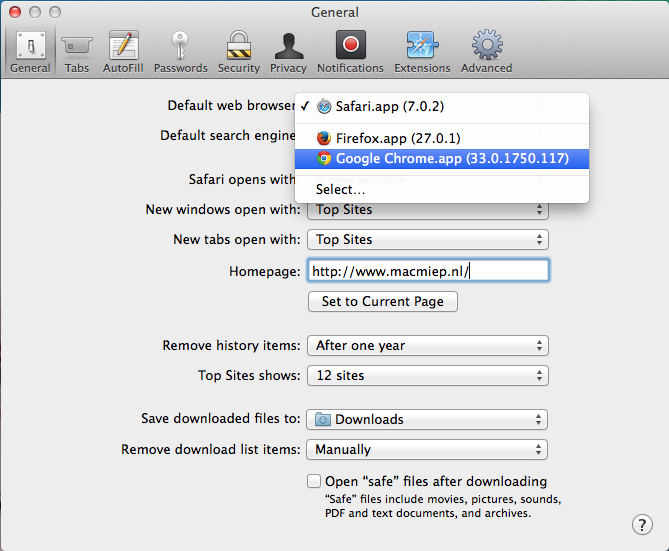 Go to the Safari Preferences => General, and choose another browser at 'Default web browser'. Hate the Google search engine? 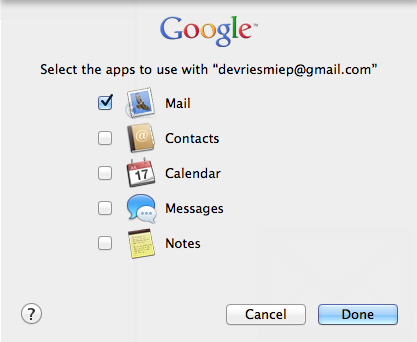 Go to Preferences=> General and choose an alternative at 'Default search engine'. Quite often you'll land on a website which plays animations or movies. 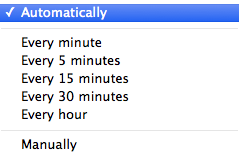 For this, Safari needs so-called plug-ins: extra software. You can see what plug-ins are installed at the Help menu => Installed plug-ins. 1. You have your own mailbox at the post-office: This is the place on the mail-server at your provider that's yours, on the POP-server. 2. 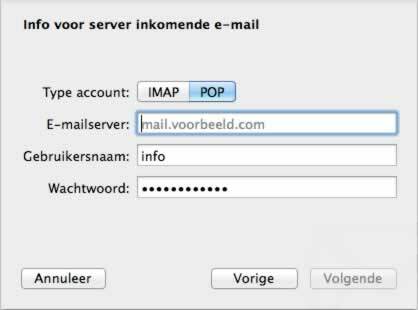 To open this mailbox at the office you'll need a key: The key is the login name and password your provider gave you. 3. To send mail, there's a a public mailbox in your street: This is the outgoing mail-server of you provider. 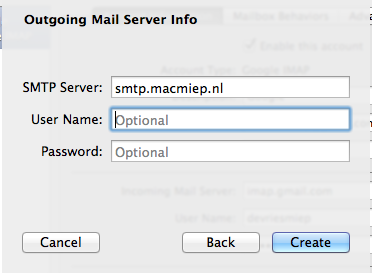 SMTP-server or POP3-server. 4. However: to put your letter in the public mailbox, you'll need to live in the same street as the mailbox. 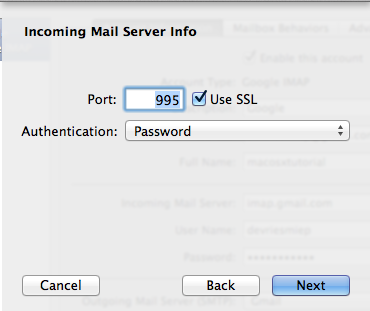 : Only when you're on your provider's network, you're allowed to send mail through their mail-server. 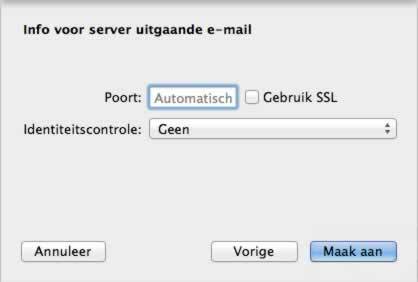 NOTE SSL is optional and makes that your email is being send through a secured connection. 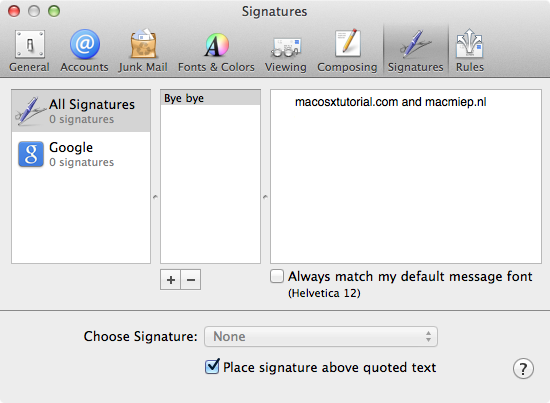 Some email services demand an identity control before you are allowed to use their outgoing mail servers. 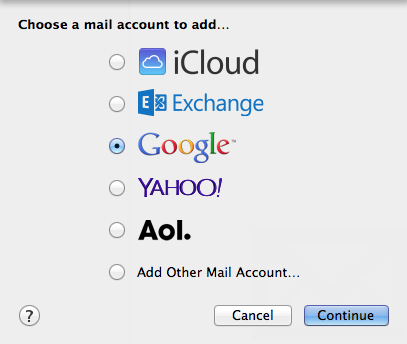 Go to Preferences => Accounts. Click the + symbol to make a new account. Choose Google. 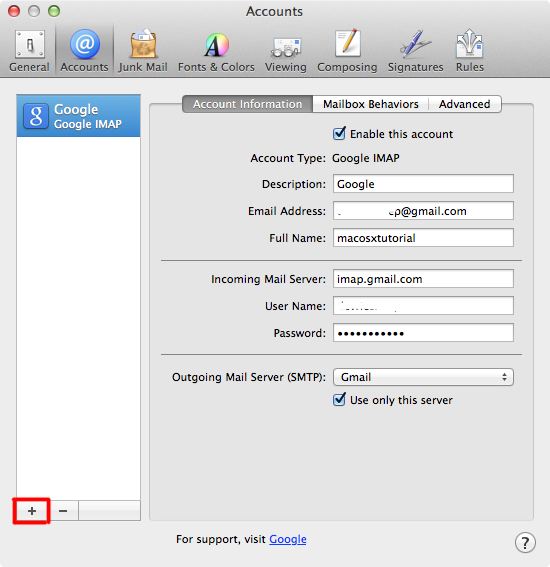 Mail will fill in the rest of the servers for you, you only need to fill in your password. In case you want to use other Google services, just choose them here. Google contacts will now appear in the Contacts program etcetera. 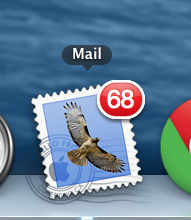 Use Drag and Drop to throw Atatchments into your email. NOTE: It may be wise to compress / zip your Atatchment first (more about compressing files in chapter Software). 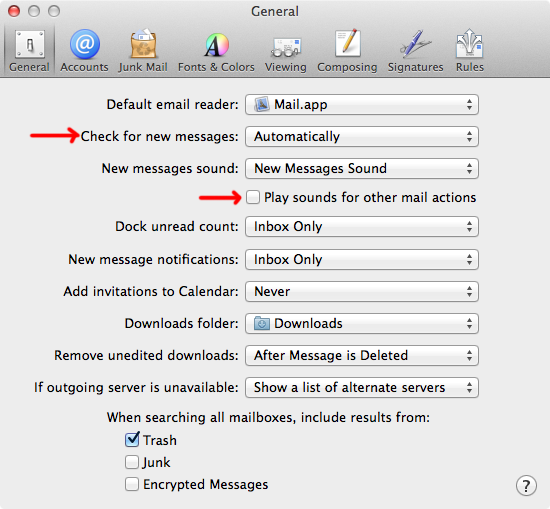 For example how often Mail has to get new email and what sounds you want it to make. 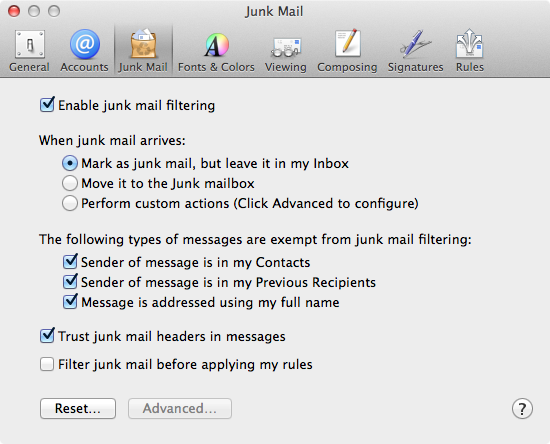 Right-click on the e-mail and choose 'Mark as Junk'. Would you like to have personal info or other comments at the bottom of every email you send? Use Signatures to make your own. 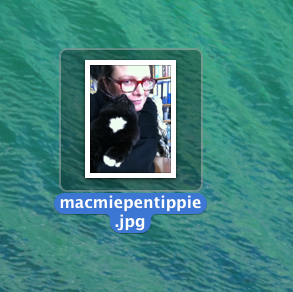 You can drag and drop pictures in here too. Small characters in an email? Mind that you send your email through the email server of the provider you are using at that moment. Many providers block email that ain't using their servers. Ask your System Administrator to turn on the Autodiscover-function of MS Exchange. 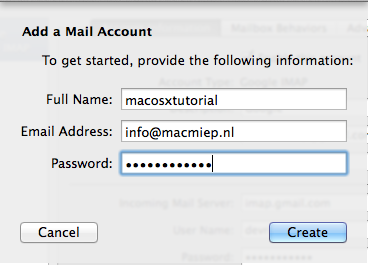 Like this it's easy to create an Exchange-mail-account with the login name and password you have been given. Contacts en iCal (agenda) will also work together with MS Exchange.